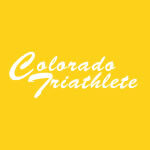 January 16, 2010 (Salt Lake City, UT) – Brian Smith and Rebecca Dussault repeated as USA Triathlon Winter Triathlon national champions, outdistancing one of the largest fields in recent history at the Battle at Soldier Hollow. On a day that started foggy but quickly morphed into ideal racing conditions, Smith (Gunnison, Colo.) captured his second straight winter title with a time of 1:09:32.9 in the run-bike-cross country ski event. Jay Henry (Avon, Colo.) placed second just over a minute behind Smith with a time of 1:10:38.7. 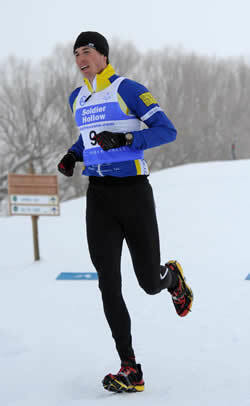 Fifty-year-old Mike Kloser (Vail, Colo.), who won the 2007 and 2008 titles, took third at 1:13:55.1. Dussault (Gunnison, Colo.) won the women’s title with a time of 1:16:55.5. In a repeat showing of last year’s medalists, Emma Garrard (Park City, Utah) finished as runner-up with a time of 1:23:47.1, while Heather Best (Fairbanks, Alaska) took third at 1:29.14.0. 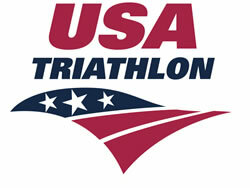 The top three finishers on both the men’s and women’s sides qualified for the U.S. squad for the 2010 ITU Winter Triathlon World Championship in Eidsvoll, Norway, Feb. 13. A member of the U.S. Olympic Nordic Ski Team in 2006, Dussault will wait to see if she is selected for the 2010 Vancouver team. If not, she is expected to join the Team USA contingent in Norway next month. In addition to serving as the USAT winter championship event, the race was also an ITU Winter Triathlon World Cup and the Pan-American Championships. The Soldier Hollow venue was the site for Nordic skiing events for the 2002 Salt Lake City Winter Olympic Games. In the age group competition, men’s winners included: Christian Kloser (Under 18, Vail, Colo.), Ian Anderson (19-24, Salt Lake City, Utah), Steve Elmer (25-29, Salt Lake City Utah), Kevin Cummisford (30-34, Salt Lake City, Utah), Bruce Rahmig (35-39, Denver, Colo.), Ross Delaplane (40-44, Golden, Colo.), David Harrison (45-49, Fairfield, Idaho), Darrell Davis (50-54, Salt Lake City, Utah), Craig Williams (55-59, Park City, Utah) and Al Marvim (60-69, Denver, Colo.). Women’s age group winners were Malaika Homo (30-34, Salt Lake City, Utah), Lisa Isom (35-39, Vail, Colo.), Paula Hudson (40-44, Park City, Utah), Suky Stewart (45-49, Salt Lake City, Utah) and Sally Hill (50-54, Midvale, Utah). “We had a great day at Soldier Hollow. 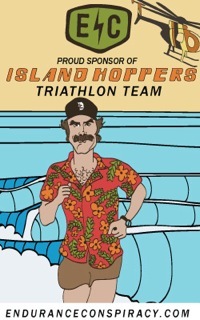 Conditions were great and the venue was in tip-top shape,” said race director Rob Leishman. “The top competitors ate up the course, and we had a lot of athletes from prior years come up to give the new course a try.